I hope you have some time set aside this weekend to reflect and praise the Risen Savior. The time with family and friends is just icing on the cake! When the Doubts Creep In by Jolanthe at Homeschool Creations. Getting Through to Teenage Pharisees by Jessica Burke at CiRCE Institute. Helping Our Perfectionist Child by Erin Vincent at Nourishing My Scholar. For those of us who are recovering perfectionists ourselves, this is a poignant challenge. 5 Quick Productivity Tips for the Busy Mom by Tim Challies. When I first saw this title I was slightly annoyed. Just what moms need: another man telling us how to manage our days better, am I right? But this post really helps with changing our mindset about what “productivity” means. It’s Not Just Hormones by Lisa Damour. Needless to say, I’m reading everything about raising teenagers that I can get my hands (or eyes) on these days. A lot of this made sense to me. Here’s What You Could Do With Your Life If You Acted On Your Social Media Fatigue by Josh Sabey at The Federalist. This surprisingly thoughtful essay encouraged me this week. I’ll take one: Katharina Fitz photographs abandoned, boarded up houses in England. Two years ago: The Heart-Work of Pregnancy. It’s fun to remember that two years ago we hadn’t yet met our Little Pip in person! 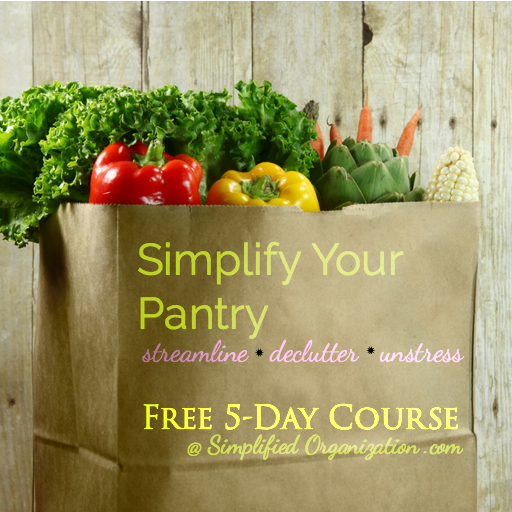 Looking for ways to streamline and simplify your family meals? Mystie has a free upcoming course just for you (April 17-21!